For the third consecutive year, drought conditions have been severely affecting agricultural crop production in Nepal, in some cases turning traditionally suplus production areas into deficit districts. 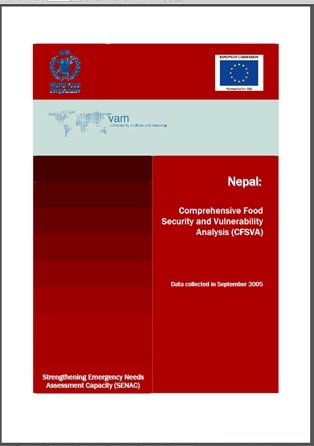 Within a broader organisational effort to better understand vulnerability to food insecurity at the country level, the World Food Programme in Nepal (WFP-Nepal), with the technical assistance of the Vulnerability Analysis and Mapping (VAM) branch of WFP headquarters, undertook a comprehensive food security and vulnerability analysis in Nepal. The effort spanned across a five month period beginning with preparatory activities in August 2005, collection of household and community level data in September 2005, and analysis of these data in November-December 2005. Welfare levels tend to vary among the regions of almost every country of the world. 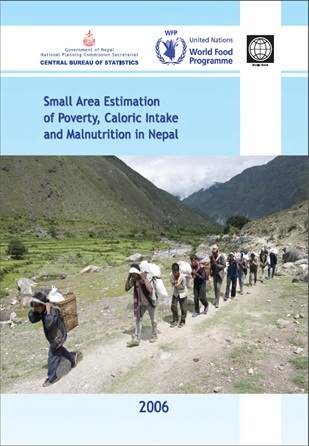 Nepal is no exception: pockets of severe deprivation are a widely acknowledged, albeit only partially documented, phenomenon. The existence of such poor areas can be due to differences in geograph - altitude, topography, biophysical endowment, access to infrastructure and markets - as well as due to government policies, such as the distribution of centrally allocated resources, or migration policies.